Singapore may be in the midst of a heat wave, but winter is coming all the same. 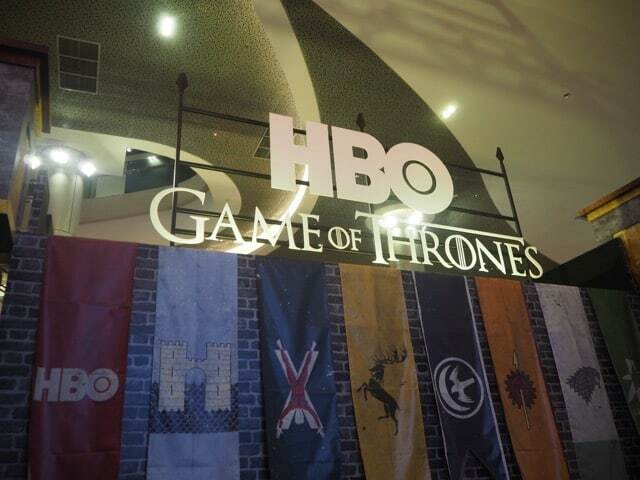 Ahead of the release of Game of Thrones’ sixth season, HBO Asia is bringing the World of Westeros exhibit to the Ion Orchard mall, running from 2 to 7th April. 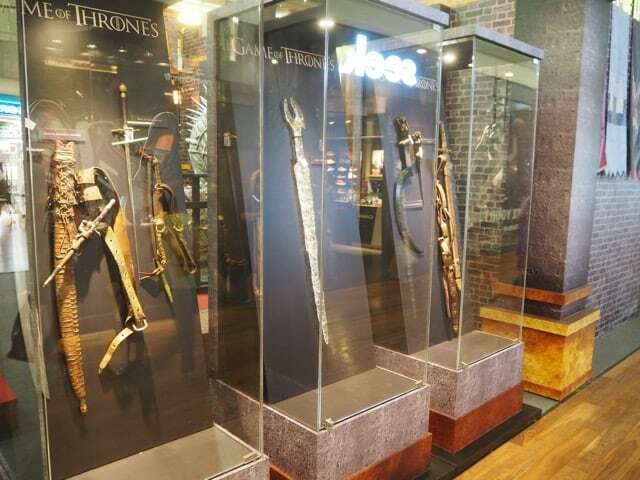 The Basement 4 Atrium will temporarily be home to a display of actual screen-used weapons from the series, including Arya Stark’s Needle, Ned Stark’s sizeable Ice and Brienne of Tarth’s Oathkeeper, bestowed upon her by Jaime Lannister. Daario Naharis’ sword and arakh, both with matching sculptures of a naked woman on the hilt, are sure to turn heads. 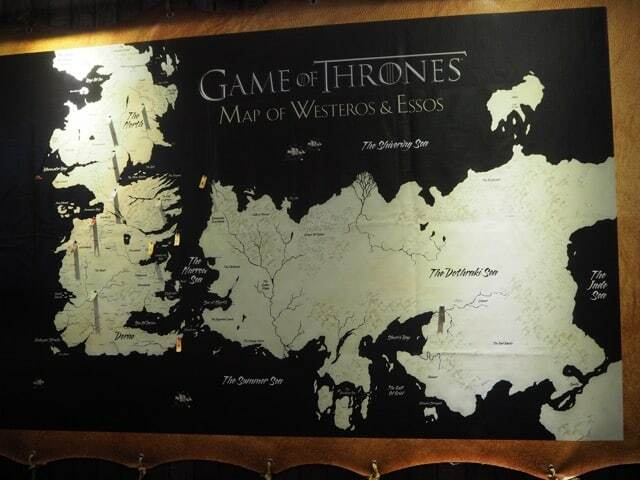 Fans will also be able to take a seat and pose for photos upon a replica of the iconic Iron Throne. 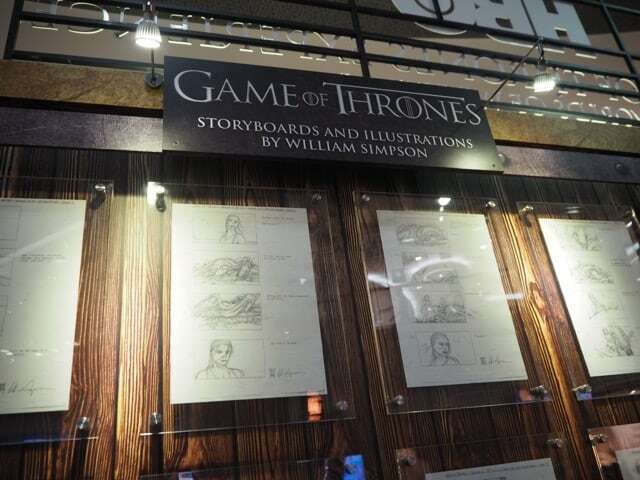 Original storyboards and illustrations by artist William Simpson are also on display. The main attraction is a 4D interactive virtual reality experience entitled Game of Thrones: Ascend the Wall. This writer entered a booth and put on the Oculus Rift goggles hanging from the ceiling. The virtual reality video, combined with sound effects from a headset and rumbling effects built into the floor and wind machines blasting air at you, simulate the experience of riding a rickety Castle Black winch elevator up the 700-foot ice wall from the show – complete with a surprise ending. Game of Thrones: Ascend the Wall was developed by HBO in cooperation the creative agency Relevent. The simulation comprises computer graphics generated by Framestore, the Academy Award-winning visual effects company which worked on Gravity. We also got a photo opportunity with Daenerys Targaryen’s dragon, Drogon, by way of a green screen set-up. 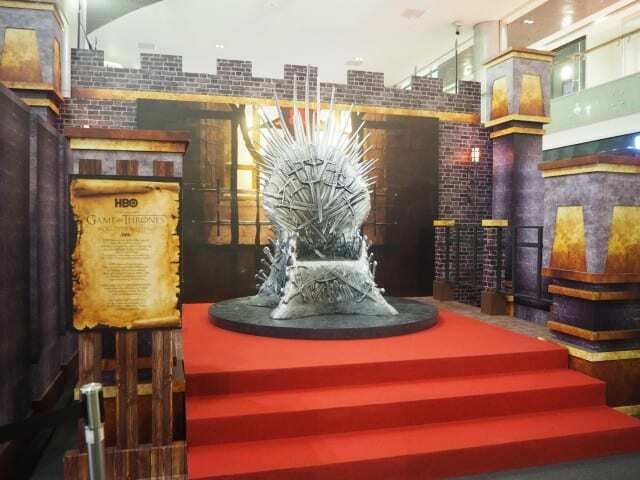 StarHub customers will be given priority to experience the Game of Thrones: Ascend the Wall – Oculus Rift virtual reality experience as well as photo opportunities with the Iron Throne and Daenerys Targaryen’s dragon. Actor Isaac Hempstead Wright, who plays Bran Stark on the show, will be participating in a meet-and-greet session with select fans and subscribers on Saturday, 2 April. Game of Thrones begins its ten-episode sixth season in Singapore the same time as the US, premiering exclusively on HBO (StarHub TV Ch 601) on April 25 2016 at 9 am, with a same day primetime encore at 9 pm. The series will also be available on HBO GO on StarHub Go and HBO On Demand.